Director James Wan says it’s too early to talk about a sequel and may be “superhero’d out” after directing Aquaman. Aquaman is getting great first reactions from critics and fans, so some of you are already starting to wonder if there could be a sequel. With every big blockbuster film, a sequel is kind of expected, especially when actors and directors sign these huge multi-film contracts. From the looks of it, I think we’re going to have to wait until the film finishes its box office run to find out. When Wan became tight-lipped on sequel info, I decided to ask him if he wanted to direct any other character before he chose to direct Aquaman and his answer was yeah, but he’s pretty “superhero’d out” after this one. 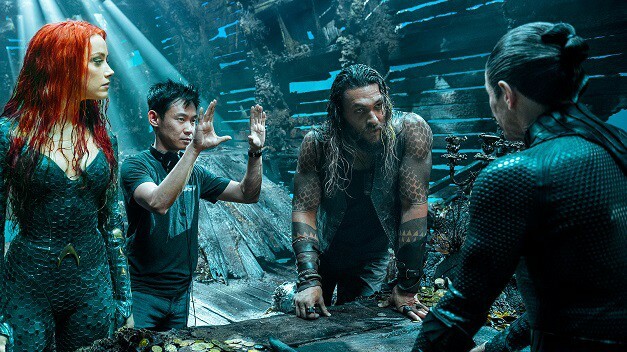 Do you want to see James Wan return for an Aquaman sequel or would you like to see him further venture into the worlds of DC? Sound off in the comments section below!